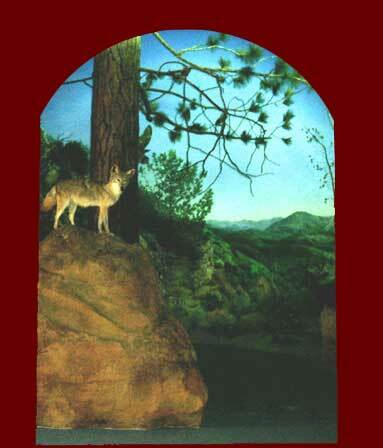 The Ojai Valley Museum is located in a beautiful old mission-style church. 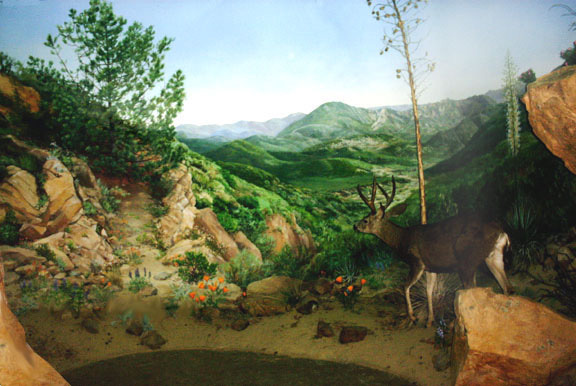 Alumni Exhibits designed, built and installed a large walk-in diorama in the pulpit, depicting a medley of the amazing local habitats in the surrounding hills, home to the California condor, mountain lions, and many native species. Proximity to the L.A. basin makes this area’s fairly pristine wilderness areas all the more precious and remarkable. This diorama designed and built by Alumni Exhibits. 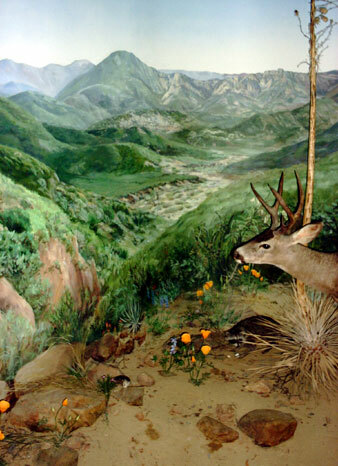 The diorama mural painted by Ali Pearson and Brooke Fancher. The taxidermy by Chuck Tesla. 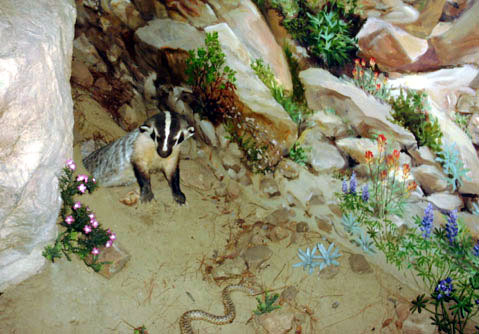 A badger peers out of his den at a rattlesnake.